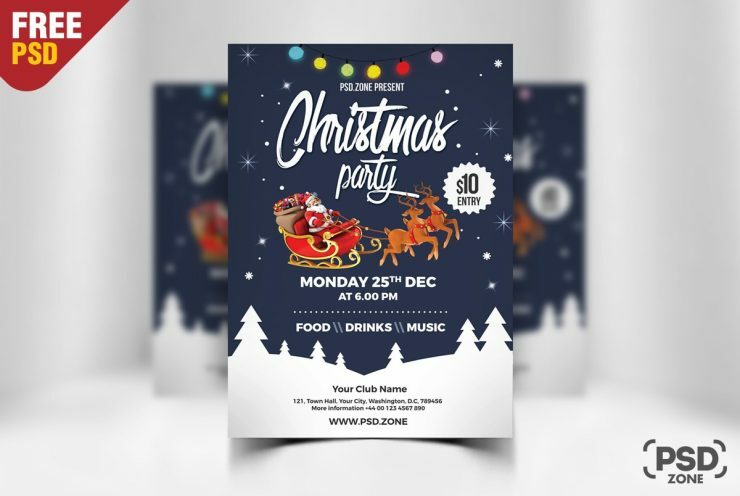 Download Free Christmas Party Flyer Template PSD. This is a Free Christmas Party Flyer Template which also can be used for a Night Club or House Party celebration and you can promote upcoming Christmas Party celebration and more. It is fully-customizable and all the elements are in individual layers and text is editable which means you can modify this Free Christmas Party flyer template to include all of your party’s details, location, date, and add more personal information to get the Christmas spirit going. This Christmas Party Flyer Template PSD file is well organized, available in CMYK A4 size, 300 DPI high resolution, it is easy to customize & edit. Hope you like it. Enjoy!